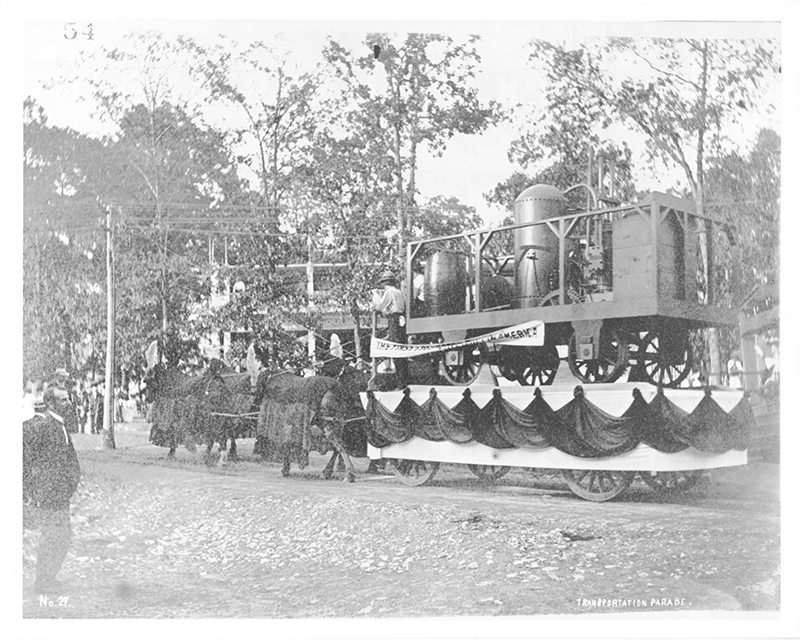 Transportation Day, July 30, 1904, began with a water parade. Fair president David Francis opened the ceremonies from a flower-decorated launch. Over 50 other water craft took part in the parade winding their way around the lagoon system. What a picture: Italian gondolas, electric boats, Philippine outriggers, and even a boat from St. Louis showing local industries. In the afternoon, a land parade, starting at the Palace of Transportation, displayed methods of transportation from around the world. Ox teams, rickshaws, decorated railway cars, and automobiles paraded in front of huge crowds. Three thousand employees represented the St. Louis Car Company. Over 1,500 employees represented Westinghouse’s American Brake Company. The Palace of Transportation and its exhibits were specially decorated for the day. For this occasion, lunch was served in the Palace’s reading room. The day ended with a program of fireworks. 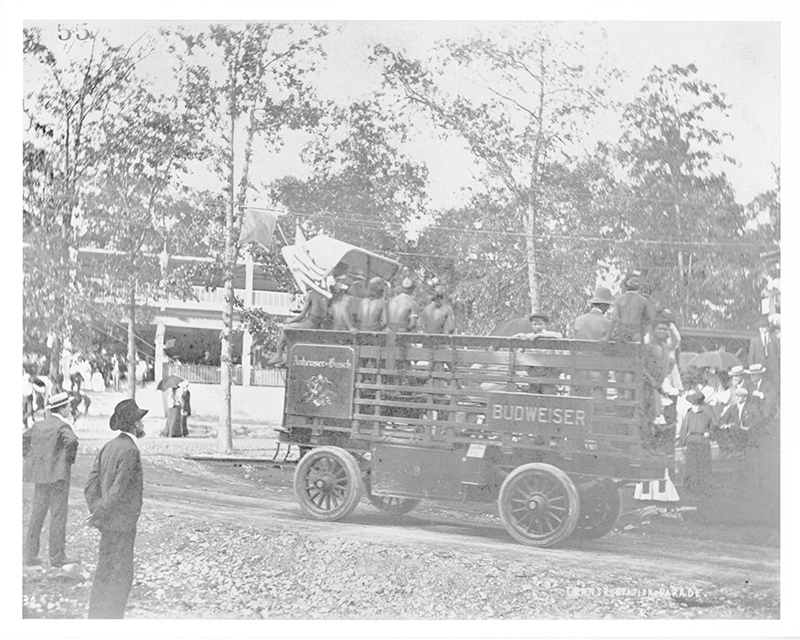 Several Igorots from the Philippines ride along on the Budweiser wagon during the Transportation Day parade, July 30, 1904. 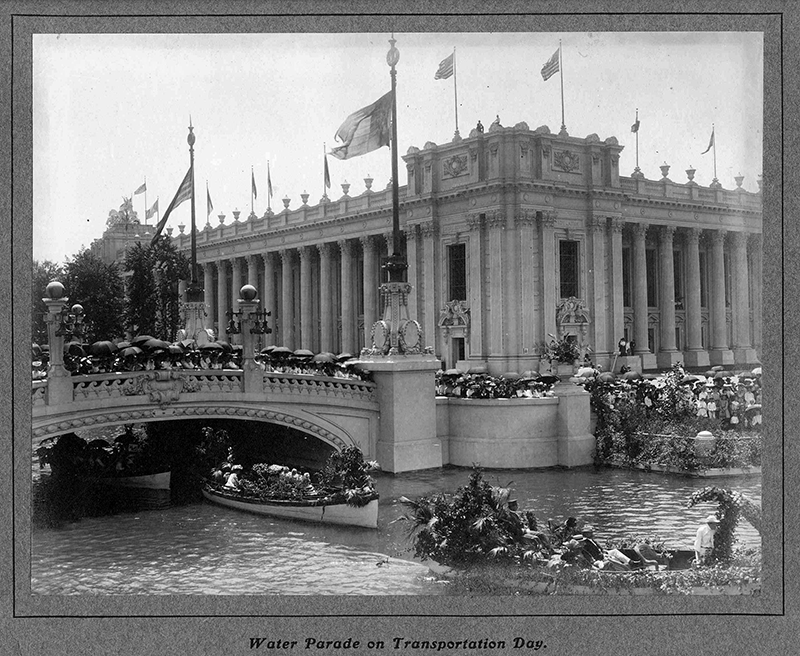 Transportation Day, July 30, 1904, at the Louisiana Purchase Exposition was celebrated first with a water parade. In the afternoon, a land parade, starting at the Transportation Building, displayed all manners of transportation from ox teams to automobiles.